Stress Less for Your Health. It’s a great time to remind yourselves and your family to make sure that you all get the proper nutrition, daily exercise and that you have the proper vitamins to boost your immune system. Being healthy is very important and we have to make sure our loved ones are always healthy too. Superior Source Vitamins have over 130 vitamins for the entire family, mom, dad, kids and grandparents! Although we can get nutrients from the food they eat, it’s a given fact that we can’t eat huge servings of fruits and veggies to get the required daily dose of vitamins and minerals. Superior Source Vitamins has great vitamins and supplements for our different needs and good news because we’re giving away $85 worth of Superior Source Vitamins below! Give your body some vitamins boost. We can’t always get or get enough vitamins and minerals from the foods we eat so we need to take vitamins to supplement or body. Superior Source is our family’s choice! They have over 180 vitamins for the entire family. All of Superior Source instant dissolve vitamins are GMO-Free, Sugar-Free with NO Fillers, Binders, Preservatives or Dyes! And here’s a good news because all of you can get FREE VITAMINS! Plus, we’re also giving away $85 worth of Superior Source Vitamins. We need to make sure our whole family’s health is in tip top shape. It’s important to make sure to have a healthy diet and we give our body a boost of vitamins. Superior Source is my choice of vitamins for my family. I highly recommend you check out Superior Source Vitamins. They have a wide variety of vitamins for adults and even for kids, best part is you can get FREE products below! 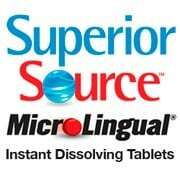 The Microlingual® tablets from Superior Source are perfect for kids because they dissolve fast. This is a great reminder for us to focus our attention on family time to spend time together doing healthy and active pursuits. Let’s all eat better, exercise more and make the health of our family a priority every day! Start giving some time for yourself. Being healthy is a combination of getting enough sleep, eating healthy foods, exercising daily (here’s a printable daily fitness goal), relaxing and taking some vitamins and supplements to boost your body’s defenses. Superior Source Vitamins has many great vitamins to choose from for supplementation! Being healthy inside is just as important as outside, and a great way to get the inside of our bodies healthy is to give it good vitamins to promote energy, heart health, bone health, etc. It’s true there are so many different vitamins to choose from, however, not all vitamins are the same. Superior Source Vitamins are quickly absorbed into the body dissolving in seconds using “Under the Tongue Technology.” Most folks don’t realize that 50% of the potency of vitamins swallowed is lost in the high acid environment of the stomach. Superior Source Vitamins are GMO free, sugar free, contain no chemical binders or fillers, and there is no pills to swallow – they simply dissolve under your tongue! We are offering Superior Source Vitamins ($85 value) in our giveaway! Giveaway ends 4/29/19 at 11:59pm EST. Vitamin C is an essential nutrient that cannot be produced by the body, therefore, it must be replenished daily. Vitamin C has several beneficial purposes including developing and maintaining healthy skin and bones, to form collagen and also enhances the absorption of iron from plant-based foods we eat. Vitamin C also provides support to the body’s immune system. Superior Source Vitamin C 500 mg, “Tangy Orange Melts”, utilizes sodium ascorbate, which is a buffered (non-acidic) form of C that does not contribute to gastric irritation. NO sugar added; only sweetened with a little stevia. This is preferable to most “chewable” vitamin C products that typically are loaded with lots of sugar. A POWERFUL CALM – Find your L-theanine serene with these tiny dissolvable tablets. Our premium L-theanine promotes relaxation, brain calm, anxiety relief, and facilitates restful sleep. Superior Source Vitamins can be found at major online retailers nationwide like iHerb and Lucky Vitamins. 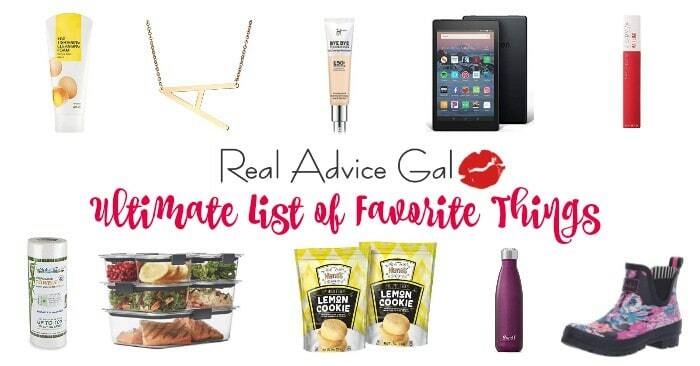 Check out their Store Locator to find a store near you. Disclaimer: This is a sponsored post on behalf of Superior Source Vitamins but all opinions expressed here are mine. Sponsor will ship the prize to the giveaway winner and has the right to change items on the giveaway package in case some are not available.